Bedouin claims funded by NIF funded NGOs fails. A 32-year-old from an illegal Bedouin outpost near Dimona was killed and four others wounded, including his daughter. NGOs funded by the misguided New Israel Fund are cynically exploiting these casualties to open a new legal front against Israel even as the country is burying its dead and protecting its citizens from continuous rocket attacks. Bedouin women in the Negev Photo: Hadas Parush. Bedouin in the Negev have been among the hardest hit by the relentless Hamas bombardment. Two sisters from the illegal Bedouin outpost of Awajan are healing from wounds caused by shrapnel from a Hamas rocket. NGOs funded by the misguided New Israel Fund are cynically exploiting these causalities to open a new legal front against Israel even as the country is burying its dead and protecting its citizens from continuous rocket attacks. Bear in mind, these same NGOs (now receiving generous “emergency funding” from the NIF) are preparing “Goldstone Report 2.0” to once again wrongly accuse Israel of war crimes. The Bedouin casualties have afforded these NIF grantees the opportunity to file a petition to Israel’s High Court appealing for government provision of protective shelters. Under the pretext that they care for Bedouin safety in the face of alleged government discrimination, these NGOs are using the courts to slander Israel, alienate Bedouin from Israeli society and endanger them even further. By demanding Israel equip illegal houses with shelters, they further seek to legitimize Bedouin illegal occupation of state land. Awajan is among more than 2,000 illegal outposts set up by the Bedouin in the Negev. They extend over 200,000 acres of state-owned land between Beersheba, Arad and Dimona. Currently, 60,000 illegal structures overrun the Northern Negev, with approximately five new illegal structures added every day, making it nearly impossible for law enforcement authorities to keep up. Contrary to popular stereotype, these illegal settlements do not consist merely of tents and tin huts. Dedicated to ensuring the responsible and legal use of state land, Regavim has discovered and photographed thousands of multi-story concrete block and cement houses, all built illegally since the 1990s. Israeli law since the early 1990s makes it the responsibility of every home and property owner to build a safe room. In flouting Israeli law, these Bedouin put themselves at risk and essentially rendered themselves illegible for services that would better guarantee their well-being. Any democratic country would come down hard on such lawbreakers. In Israel, however, Arabs are given a pass, in part thanks to protection by these NGOs, who then blame Israel for any injury resulting from such violations. Regavim seeks to prevent such illegal, hazardous building from the outset by petitioning the government to enforce equal rule of law. The Israeli government indeed discriminates in cases of land-use violation, but to the Bedouin seeming benefit. Compared to its treatment of Jewish builders, the government turns a blind eye to rampant Arab illegal settlement throughout Israel, leaving Regavim supervisors to alert and press authorities about violations. The majority of Negev Bedouin who do live in legal cities, towns and villages are protected today from the terrorist rocket onslaught against Israel. Take, for example, the city of Hura. The mayor of Hura, Dr. Mahmoud Nabari, has publicly stated that every house in Hura has a safe room. The Israeli government has invested hundreds of millions of shekels toward supporting legal cities, towns and villages for the Bedouin in an attempt to improve their lives. Every Bedouin family living in an illegal outpost has been offered a free 1/4-acre plot in and around such neighborhoods as Rahat, Lakiya and Hura, not far from the site of the recent casualties. Equipped with full infrastructure for utilities and services, these neighborhoods are ready for construction. Instead, they have become ghost towns. Even pasture land has been offered for lease exclusively to Bedouin at the price of one shekel per quarter acre in an attempt to convince the Bedouin squatting illegally to join a legal community. However, approximately 70,000 Bedouin – with the help of NIF grantee NGOs – have preferred to stake their claim on state land, thus putting themselves at risk. The financial support for such illegal behavior by the NIF’s grantee NGOs is not only misguided in this case, it is heartless and cruel. 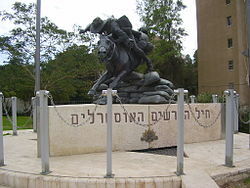 Instead of expecting the Home Front Command to chase after every illegal house with a shelter in hand during a war, it is time for the Bedouin to accept the magnanimous terms being offered by the State of Israel so they can start living as responsible, law-abiding citizens, which is what any democracy should expect from its people. I was at the Knesset today for an Interior Committee hearing on the claims by the NIF funded NGO’s that Israel discriminates against Bedouin. They didn’t succeed to convince, similar result to the one at the Supreme Court, which we are always happy about. 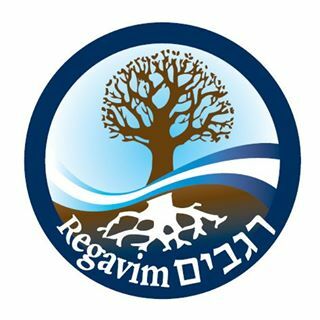 The author is the director of Regavim, a research-based legal advocacy organization, dedicated to ensuring responsible, legal and accountable use of Israel’s national land.